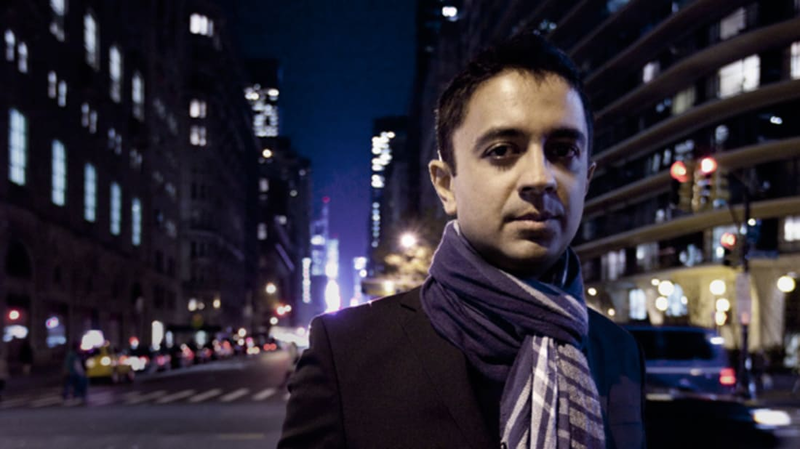 “Jazz musician” is just the beginning with Vijay Iyer, who was getting his graduate degree in physics while working as house pianist at a club in Oakland. Since then, he’s released 20 albums, including the latest, Break Stuff, with the Vijay Iyer trio. He’s also a Harvard professor and a 2013 MacArthur Genius. We caught up with him recently to find out how he does it. 1. My parents asked me what instrument I wanted to play, and apparently I said violin. They signed me up for violin, and my sister for piano. Being a little brother, I had to go and mess with the piano. By the time I was in high school, I was playing keyboard in a rock band. 2. I had a few lessons with a local jazz pianist. He loaned me Bright and Breezy by Red Garland, who played with Miles Davis in the 1950s, and a Keith Jarrett Trio album. This was before Wikipedia, so I went to the library and started checking out other artists: Miles Davis, Herbie Hancock, Tony Williams, this young trumpet player named Wynton Marsalis. I listened to a lot of Prince, Michael Jackson, the Police—stuff that had artistry, musicianship in it. 3. And then I found Thelonious Monk. He doesn’t sound like what people tell you jazz is supposed to sound like. He has a unique, strong identity. That hit me hard. It was more than just pretty music; it was like this person was talking to me. He’s still my No. 1 influence of all time. His relationship to the piano is so personal. I grew up banging on the piano, figuring out my own relationship to it. 4. It never dawned on me that I had any shot at being an artist. Music has always been a big part of my life, but I never knew I could make it a profession. No one in our family had that as a point of reference. My parents are immigrants from India. To be an artist coming out of that world was a little unlikely. 5. At Yale I was a physics and math major. I had such weird interactions with the music department. It was so stuffy and Eurocentric—I felt alienated. I did my own thing musically. Then I applied to grad school in physics at UC Berkeley, and when I moved to Oakland, I became the house pianist at a jazz club. I was 20 or 21, and these guys were in their seventies. That was its own education. 6. I had been in grad school for a couple years and I hit a wall. 7. In classical Western music, there’s this dichotomy between the composer and the performer. The performer is supposed to execute—you have to be a vessel for someone else’s will. That’s where the concept of mistakes comes from. It’s a bit peculiar. If you look at music around the world, that’s not really how it works. 8. When people talk about jazz, they point to mistakes as proof that someone is improvising. 9. I feel stuck all the time! What unsticks me is time. It’s patience and it’s needing to finish something. Performing is about making choices out of necessity. That’s the truest version of you, for better or worse. 10. Music keeps you humble. There’s always more to learn and do better. When I say better, I mean, what does it mean to make good music? Good music reaches people. The real learning process is learning how to communicate.